The iPad kiosk is an essential tool for StarQuest in registering a large number of young competitors in an expedient and efficient manner. There are typically at least four of these kiosks positioned in the lobby at each event. Before enlisting help from US Case, the StarQuest merchandising team would be required to assemble & disassemble the iPad kiosk at every event. This process would typically require at least one hour per kiosk. Due to the curved design and internal wiring, setup would also require two people. 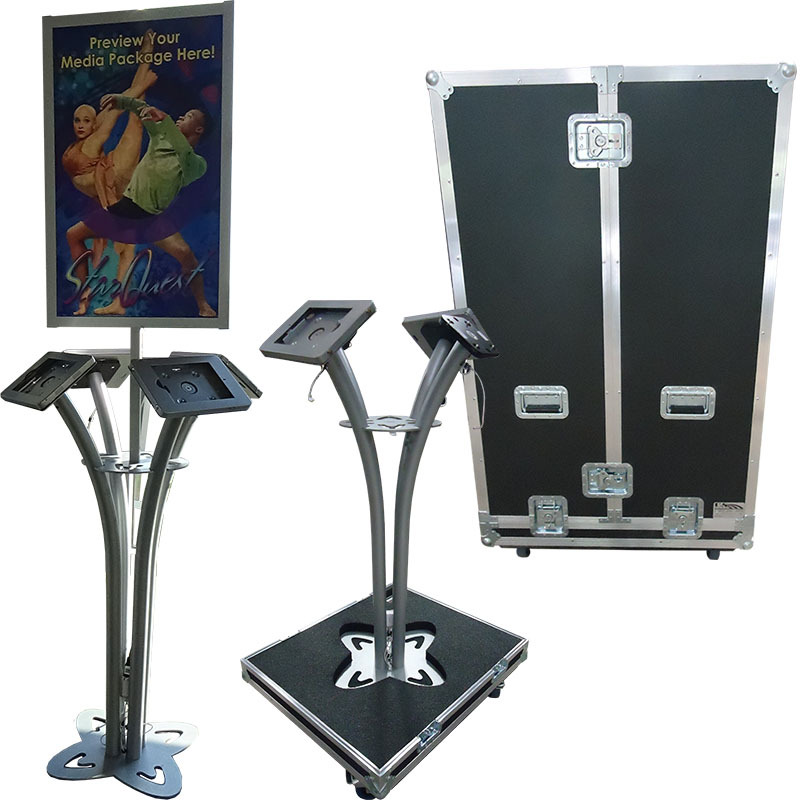 By utilizing our clamshell case design, the kiosks are now able to remain fully assembled and can be easily transported safely throughout the lobby area with the caster tray and custom foam insert. The registration setup is now 75% faster than before allowing the team to focus their efforts on other areas of their merchandising task list. The tour group can also have peace of mind in knowing that this critical piece of equipment can now travel safely to multiple events nationwide.